It’s called “Potpourri”, “Spice”, “K2”, “Fake Weed” or “Synthetic Marijuana” and it’s legal in a lot of states. In Emily’s case, she purchased it at a gas station. Emily, 17 is now brain damaged and blind. No one can say for sure if she will ever walk or have full use of her arms again. For a long time they weren’t sure if she would live or recover brain function. 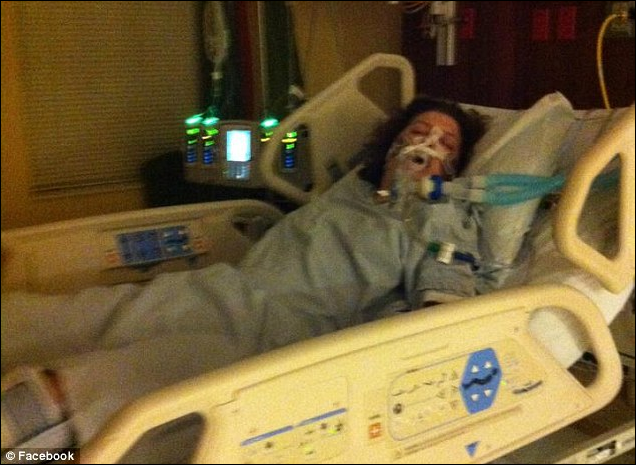 Read her full story here or find out about the organization called SAFE (Synthetic Awareness For Emily) that her parents started on Facebook where others who’ve had a bad experience with the synthetic marijuana share their stories as well. This entry was posted in General and tagged Fake, K2, Marijuana, Potpourri, Spice, Synthetic, Weed. Bookmark the permalink.